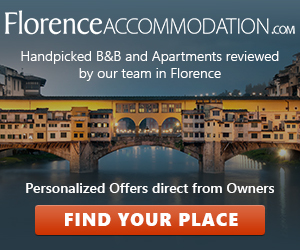 Afterer the exhibition on Fattori’s masterpieces, a common thread links the Italian 19th century painting to the French: in Florence, from 11 July to 28 September, Palazzo Strozzi houses a major event dedicated to the masters of Impressionism. 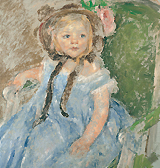 Over 60 paintings on display celebrate the greatness of the French painters who founded the Impressionist movement, which affected French art production from the early 1870s to the dawn of the 20th century. 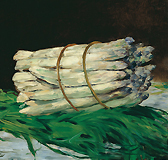 Masterpieces by Eduard Manet, Claude Monet, Pierre-Auguste Renoir, Vincent Van Gogh, Paul Gauguin, Gustave Caillebotte, from the Wallraf-Richartz-Museum & Fondation Corboud of Cologne are arranged so as to reveal the painting technique that characterized the plurality of the artistic language of Impressionism. 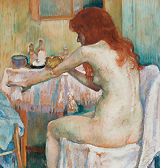 The exhibition analyzes the new way of conceiving and recreating light by observing the traces left by the spatulas and paint brushes on the canvases, through stages in which the visitors may take on the role of experts and thus give their own opinion on the mysteries that still surround the painting techniques of Impressionist masters. From the presumed spontaneity of the works to the actual creation en plein air – the basis of Impressionist painting; from the apparent incompleteness of the work to the present-day visual impact of the Impressionist paintings. These and others are the thought-provoking elements offered to the visitor along an interactive itinerary - therefore highly innovative and stimulating - designed also for families, to whom a thriller is dedicated: an “Impressionist Crime” (the death of an imaginary Impressionist painter) whose mystery is left up to the visitor to resolve. A prize will be awarded to the person who will develop the most convincing and interesting story based on the clues provided. A jury of experts will convene to award the most captivating stories. At the end of the exhibition the solution to the mystery will be announced during a press conference.